Could Stephen Curry Collect the 2013-14 MVP Award? The odds are not in his favor, but Stephen Curry could nonetheless potentially win the 2013-14 MVP trophy if things fall just right. 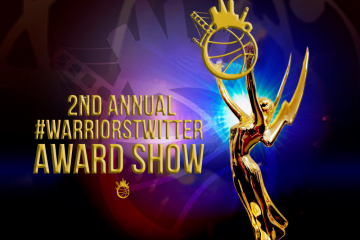 Until proven otherwise, the award is LeBron James’ to lose. Since the 2008-09 season, the two-time Finals MVP has had a stranglehold on the trophy and it is difficult to envision anyone else winning it. The 2013 ESPN Sumer Forecast projects James will collect the Maurice Podoloff trophy at the conclusion of the 2013-14 campaign. As a matter of full disclosure, I was one of the 215 voters and picked Kevin Durant to win the 2013-14 MVP. The Oklahoma City Thunder superstar finished second in the voting while Chris Paul (third), Derrick Rose (fourth) and James Harden (firth) completed the top five. Curry was nowhere to be found in the top-five projection and that speaks to how much of a long shot he is. And yet, ESPN.com’s Chris Broussard feels as though the Davidson product has more than a fair chance at winning the MVP (Insider). Name two guys who had a better playoff than him,” the coach said. “He was killing guys. If Curry stays healthy [this season] — and with Andre Iguodala there to guard the opponent’s most difficult offensive guard — he could lead the league in scoring. He already had incredible confidence, but now that he’s done it, this year will be different for him. Now he knows he’s better than a lot of guys. He’ll definitely make the All-Star team. And the Warriors have improved their team. I’d definitely throw him in as an MVP candidate. Those words speak to a belief that the Golden State Warriors’ leading scorer can elevate his game and put his name in the MVP discussion. Some believe his health will hold him back but that may be overblown. 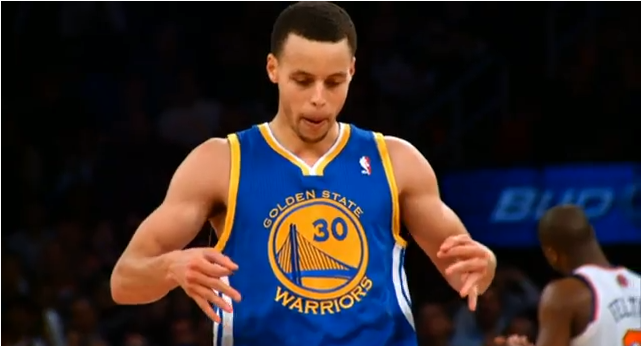 Curry’s physique gives the impression he is weak and frail. Thus, there is a sentiment that his body cannot handle the rigors of the 82-game schedule. His ankles have kept him out of games during his career and it is fair to wonder if that will plague him going forward. Curry has actually been durable in the majority of the seasons he has suited up with Golden State. He only appeared in 26 games in 2011-12 but that figure is a little misleading. The Warriors only played 66 games that season because of the lockout and also the franchise waved the white flag midway through the season in an effort to tank for a draft pick. Hence, we can conclude that Curry will miss a decent amount of contests every season but that he can probably be counted on for north of 70 games per campaign. That leaves his candidacy up to two factors: team success and overall performance. The Warriors won 47 games in 2012-13 on their way to a postseason berth and second round battle with the San Antonio Spurs. Golden State enjoyed a great turnaround season after only winning 23 of their 66 games the year prior. However, reproducing the output of 2012-13 will not suffice. Traditionally, players that win the MVP award are members of teams with great records. Essentially, the Dubs will need around 55 wins. 2011-12 was a shortened season of 66 games. The 47-win total was the equivalent of a 57-win season when projected over 82 games. Team success is an incredibly large component in handing out the MVP award. Therefore, Curry will not have a chance at all if the Dubs are not a big Western Conference contender. 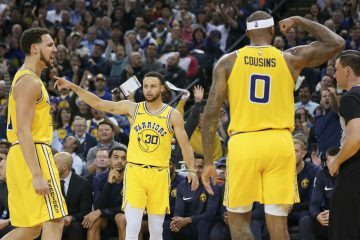 Mind you, in the event Golden State threatens the powers to be in the west such as Oklahoma City, San Antonio, the Los Angeles Clippers and Houston Rockets, it will be up to Curry himself to perform and outshine the superstars on the league’s top-flight teams. 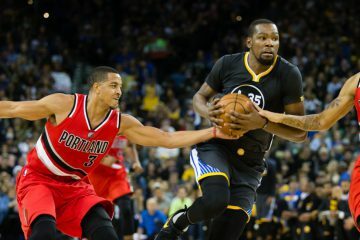 The Warriors guard demonstrated over the course of the second half of the 2012-13 season that he can put it all together and destroy an opponent’s game plan. During that stretch, there were nights where Curry looked as though he was not only the best shooter in the league but also its best point guard. He toyed with defenses and left them completely flustered because of their inability to limit his damage. Reproducing that level of play during the entire 2013-14 regular season will probably suffice to secure the award provided the Dubs have a great overall record. However, the likeliness of these two factors occurring is incredibly small. The biggest obstacle to Curry’s MVP season is actually Curry himself. The addition of Andre Iguodala will more than likely reduce some his scoring burden and consequently some of his touches. Granted, that may improve his efficiency but Iguodala’s presence is not in actuality a hurdle. Curry has to battle history: more specifically, his own. The performance he put up in the 30 games he played after the 2012-13 All-Star break was simply the best of his career. His second-best 30-game output came roughly around the second half of the 2009-10 season. During that run, Curry posted figures of 22.6 points and 7.8 assists per game on 47 percent field goal shooting. The numbers are fairly similar and both occurred in small sample sizes. In other words, until proven otherwise, there is no reason to believe the sharpshooter can produce at the previously mentioned level for an entire season. Hence, we can come to the conclusion that Curry could potentially win the award, but the odds are certainly not his favor. Should the Warriors Expect a New Harrison Barnes in 2013-14? Sure, I’d say a 10 percent chance. But let’s hope he makes an All Star spot first. SCOE!! 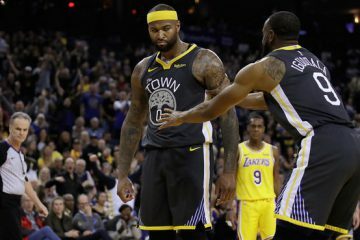 The Warriors will be fun to watch next year – can’t wait!